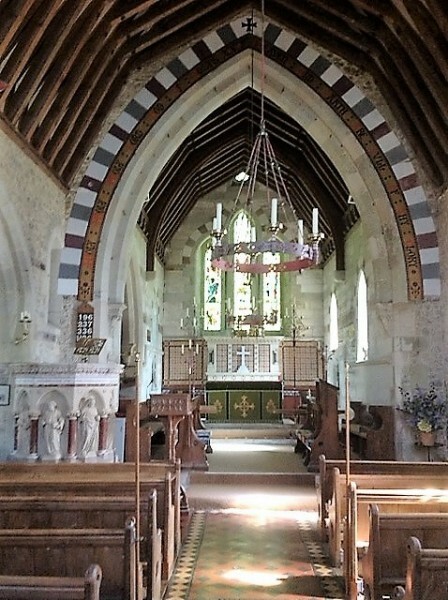 The main featured image above shows St Mary’s from the south, with the entrance through the tower at the south-west corner of the nave. 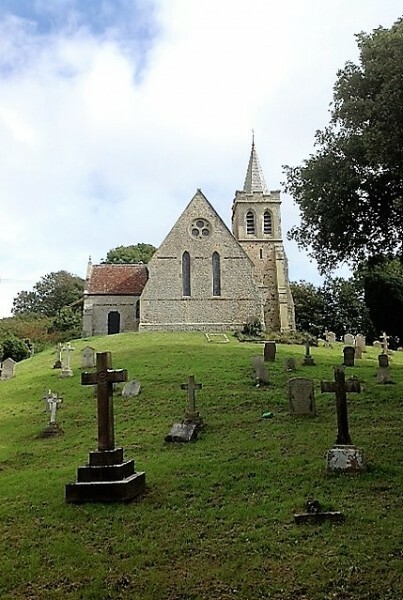 The church is in a beautiful setting on a hill above the B3399 road through the lovely West Wight AONB. 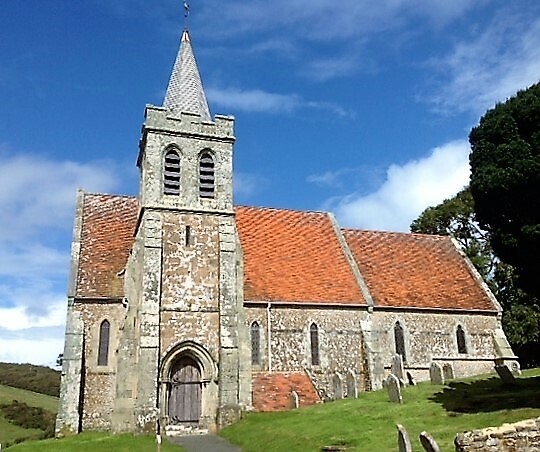 The original church was burnt to the ground in a disastrous fire on 16th December 1862/3, and the only surviving remains of this building are the lower parts of the tower and the arch leading into the nave. 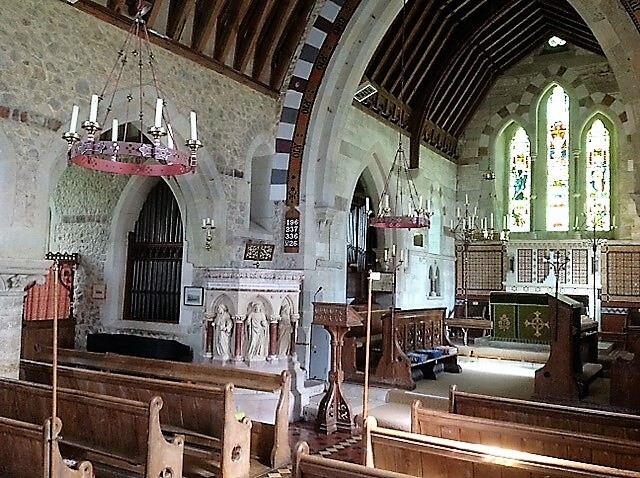 When built in the 13th century, St Mary’s consisted of a nave and chancel only. 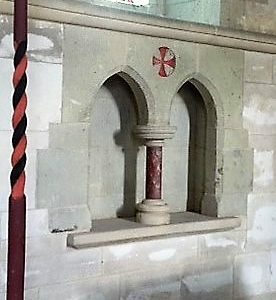 A chantry was added at the south-west corner of the nave, but in the 16th century this was demolished and a tower was erected in its place. 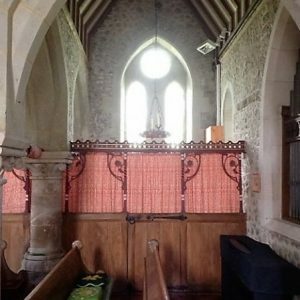 In the mid 18th century a north chapel was added. 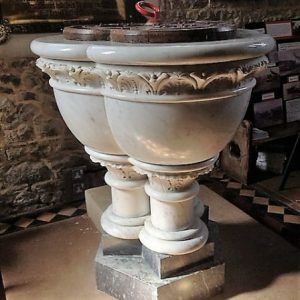 Re-building in the Early English style of the 13th century was carried out in 1864, shortly after the devastating fire. 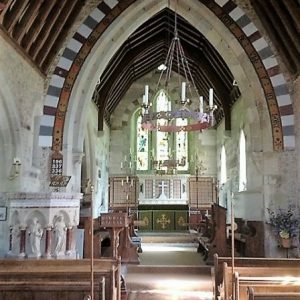 The fine interior decorations and fitments installed at the time remain in beautiful condition, making St Mary’s one of the best preserved small Victorian churches in the country. In 1889, a third stage was added to the tower with crenelated parapet and small shingled spire. 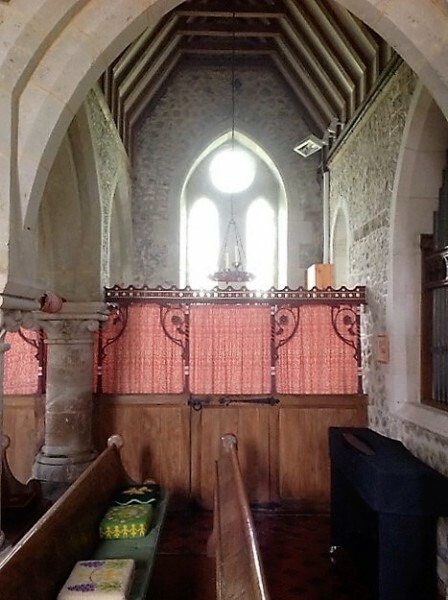 The first photograph in the gallery below is a view from the nave through to the chancel, which is lower than the nave. 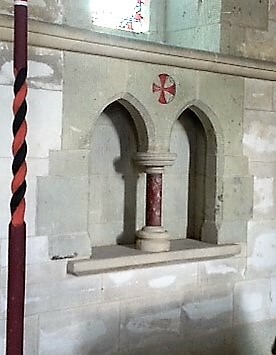 The east window consists of three trefoil-headed lancets with stained glass depicting the Crucifixion. 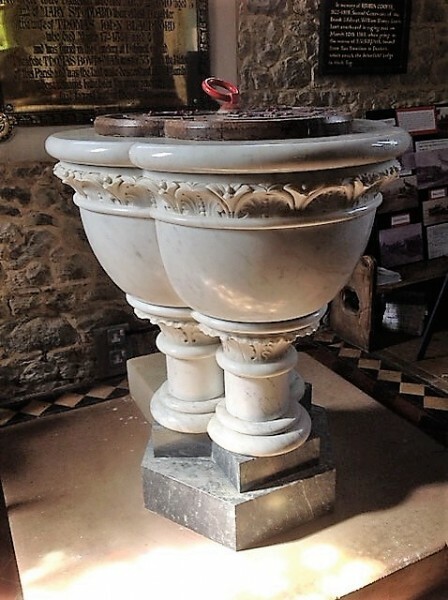 Next shown is the most unusual 19th century trefoil shaped font made from Sicilian marble, and the third photograph is of the Caen stone font, also 19th century. 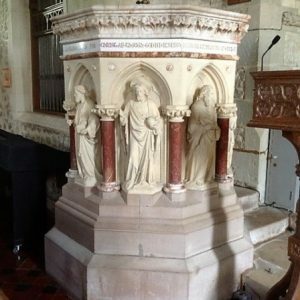 It has carvings of Christ and the four evangelists separated by marble columnettes, and an alabaster cornice. 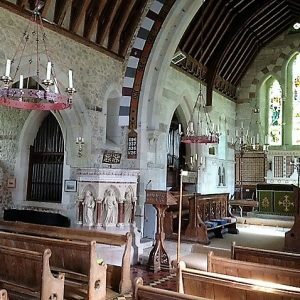 The fourth photograph in the gallery shows the north chapel which was built by William Bowerman towards the end of his tenure as Lord of the Manor during the first half of the 19th century, and not long before the fire. 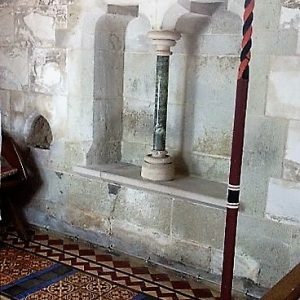 The next two photographs show sedilia in the north and south walls of the chancel. 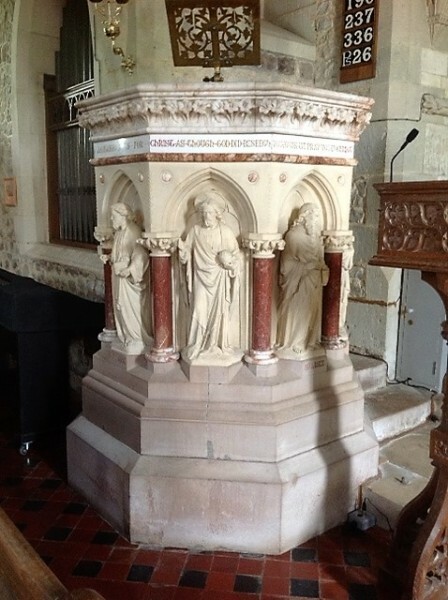 The latter also has a piscine, in its traditional position to the left/south of the altar. 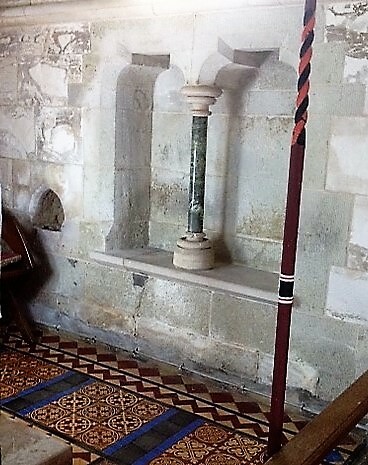 Next is a view from the nave across to the pulpit and the north and east areas of the chancel, showing how well all of the internal Victorian restoration after the fire is maintained and presented. 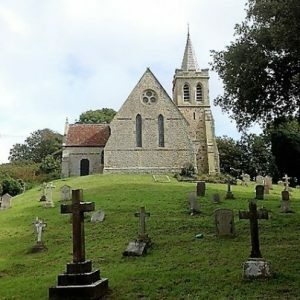 Finally, is a view of St May’s from the west.